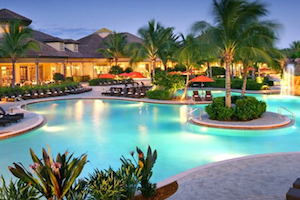 Lely Resort is a world-class Florida resort community perfect for living the ultimate active lifestyle. Active adults have no trouble finding resort-style living in the Sunshine State. Throughout Florida, communities offer impressive amenities and beautiful homes. Here are 20 popular Florida communities, taken from our list of the 100 Most Popular Active Adult Communities for 2014. 1. The Villages - The Villages, FL With over 56,000 homes, The Villages is one of the largest active adult communities in the world. This incredible development spans three counties and over 20,000 acres. It is a complete, self-sustaining town with retail centers, amenity complexes and over 100 miles of golf cart legal streets and trails. 2. On Top of the World - Ocala, FL In the heart of Central Florida, On Top of the World supports active adults with world-class amenities and diverse neighborhoods. Residents can enjoy a state-of-the-art fitness center, hobby and game rooms, golf courses, sports courts and much more. 3. Sun City Center - Sun City Center, FL Since 1961, Sun City Center has thrived as a popular destination for resort-style active adults on the Florida Gulf Coast. Today, homebuyers can choose from new construction and resale homes in a wide range of styles and price points. They can also enjoy multiple clubhouses with many luxurious amenities. 4. Oak Run - Ocala, FL Oak Run is a beautiful, 3,500-home community that appeals to active adults who want to live in a friendly, well-established neighborhood. In addition to its fabulous amenities, Oak Run features social clubs and special-interest groups that encourage residents to make new friends and pursue favorite pastimes. 5. Kings Point - Sun City Center, FL While Kings Point is a gated enclave within Sun City Center, it is not directly affiliated with the larger community. Kings Point has its own homeowners' associations, clubhouses and outdoor amenities. Yet residents also have access to the amenities in Sun City Center's North and South Campuses. 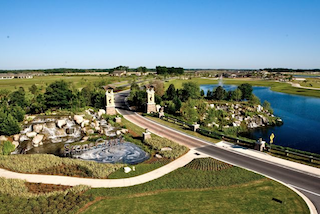 Stone Creek is a popular Del Webb community in Ocala offering exciting amenities and beautiful homes.